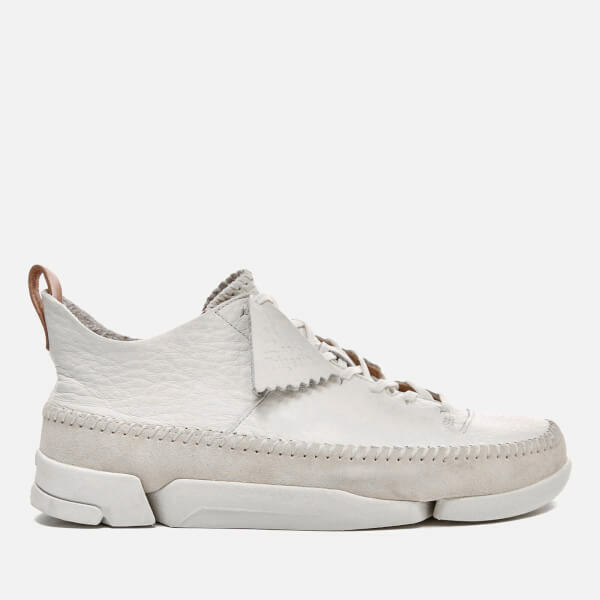 Men’s ‘Trigenic Flex’ shoes from British heritage shoemakers Clarks Originals. 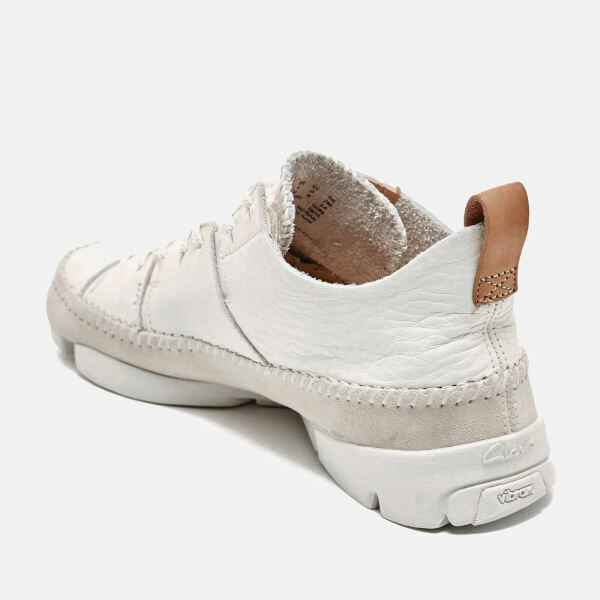 A pioneering fusion of footwear technologies within a classic Clarks moccasin construction, the ‘Trigenic Flex’ shoes are crafted with smooth white leather uppers and tonal suede. 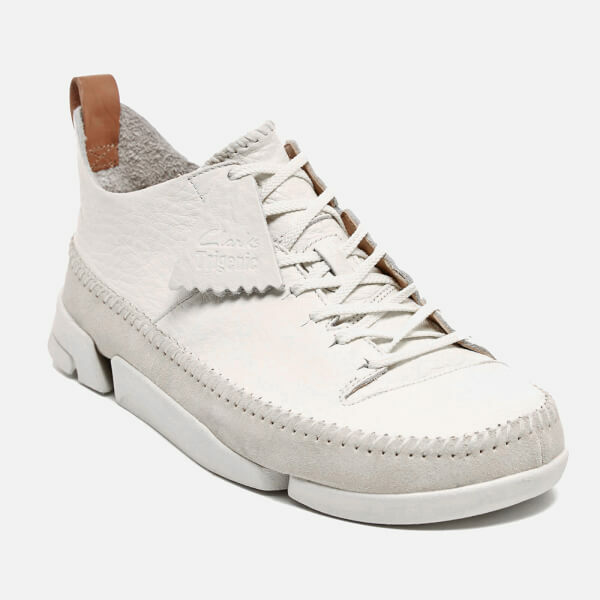 The shoes feature a flat lace-up fasten, tonal stitched detailing around the shoe and a contrasting leather pull tab at the heel. 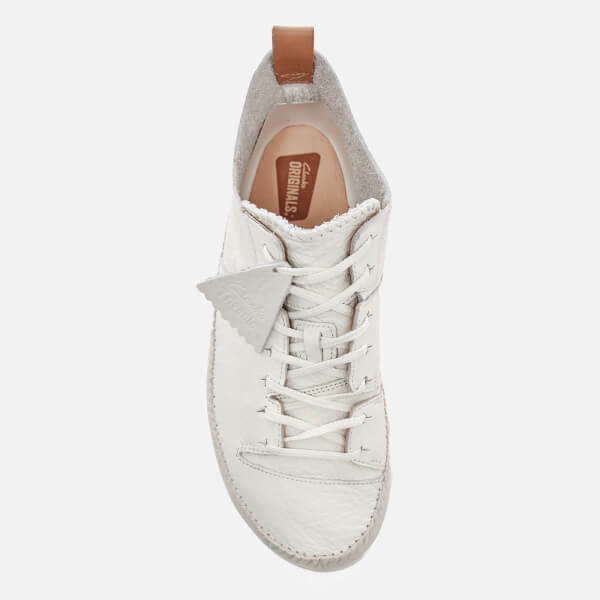 Set on a three part decoupled Vibram® sole unit for superior durability, the ‘Trigenic Flex’ shoes are complete with a knitted heel tab for greater comfort and a suede Clarks Originals brand tab. 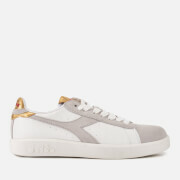 Upper: Leather. 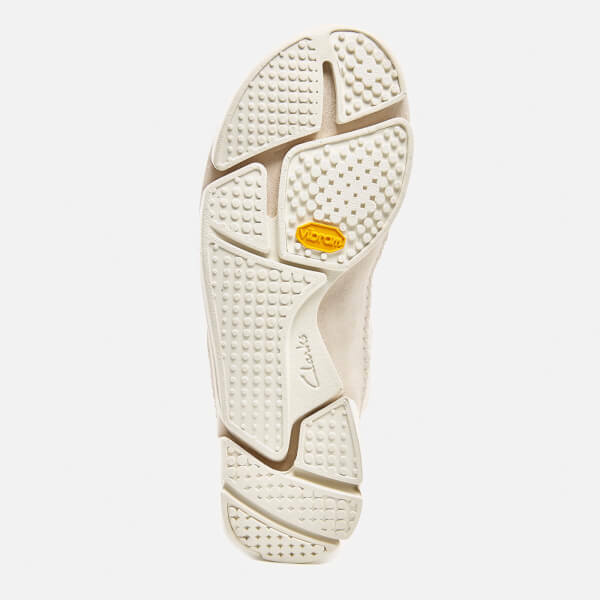 Sole: Vibram® Rubber.